The other day, I was browsing through my Facebook feed and saw a rather unexpected ad in the sidebar. Discount coffins. No joke. I might be occasionally sleep-deprived, but overall I’m a pretty healthy guy in his 30’s. What use would I have for a coffin? But let’s not be too hard on this particular brand, or their peers for that matter. Because despite greater access to powerful targeting tools, this situation is all too common. According to 2018 polling, only 39% of marketers do adequate audience research and maintain a documented content strategy. What a waste! Content marketing is perfect for small businesses. When done correctly, it can cost 62% less than traditional marketing, while generating 3X the leads! But doing it correctly, requires knowing your audience. It’s a fundamental pillar of success when it comes to content marketing. Want to find out how to do audience research like the pros so you can get kickass results ? Read on! Knowing Your Audience: Why Bother? It’s nice to hear that, and it serves a purpose. It helps keep teams focused on creating amazing products/services/etc rather than being great at selling something mediocre. But it’s just not going to be true for most businesses, when it comes to content. For example, even the very best content will get tossed aside when the wrong audience reads it. If you create a beautiful infographic covering the latest cancer research and put it in front of a bunch of teenagers, how engaged do you think they’ll be? If you’re lucky you might end up attracting some casual readers who aren’t ready to do business with you. But what’s the point of getting likes if you they don’t turn into leads? Last but not least, let’s not forget that people can get upwards 4,000-10,000 marketing messages every day. Attention spans have shrunk accordingly to only 37 seconds. Fail to hook a visitor early and they will disappear forever. So what is the ‘right” audience? They buy the product because of the content. Done right, your audience research can definitely be worth it. Defining your audience connects the dots between your product, the audience and your content mission. Start by answering the following questions to start shaping your own audience definition. What does my product do? You probably know quite well why are you in business, right? That alone should give you an idea about your target market. Who are my competitors? No matter how small your business is, there will be competitors. And if you have reason to believe they’re doing well, chances are that they know their target audience. Follow their content (both online and offline) to get an idea of how they approach it. Who are my current customers? This might be obvious, but your current customers are likely a great representation of who your target audience should be. If you don’t know who your existing customers are or where are they come from, just ask your sales team. They interact with your customers all the time! You might have to segment your customers into different groups to understand them better. Sometimes your product/service/skill set has more appeal to a certain segment of your audience. In that case, targeting that niche market can prove to be very profitable. For instance, suppose you’re running a digital marketing agency. Imagine that at least one of your team members is a former lawyer. Your agency will likely have an edge when it comes to understanding the challenges legal firms face. Once you have a basic understanding of your audience definition and segments, let’s cover the next piece of the puzzle: your audience research. That’s a great start, don’t get me wrong. But it’s just the tip of the iceberg. More is better here. A solid audience research process is the shovel you’ll use to dig up all of that glorious data. Here are some key ways to research your audience inside out. Customer surveys or direct conversations are two of the best audience research methods to start with. After all, no one can tell you more about your customers than your customers themselves. Interestingly, only a small section of marketers (around 40%) talk with customers directly. 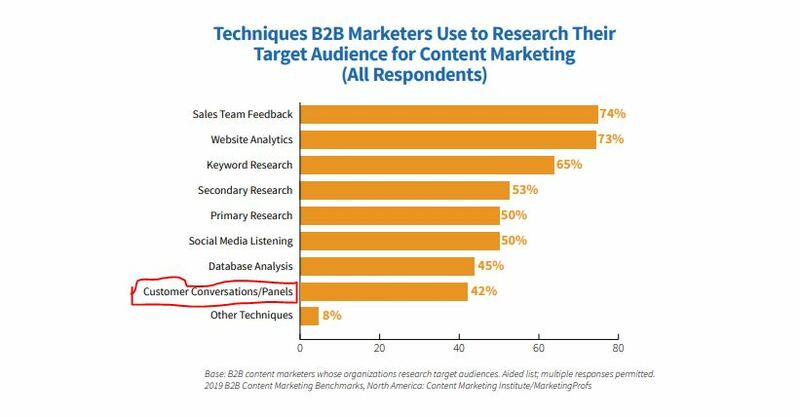 However, 56% of the most successful B2B content marketers often speak to their existing customers. So yes, asking your customers what they want can pay serious dividends! To get started interviewing customers, you can call or email, depending on your normal method of communication. There are many free and paid survey tools available. Google Forms, SurveyMonkey, and Typeform are among the most popular choices. Here’s the catch. We as humans are complex and quirky creatures. Our cognitive biases distort our responses to a large degree. If you want accurate responses from your audience, always take biases into account. Here is an excellent guide on how to deal with biases in surveys. How to use all the data you gathered is another challenge. When you survey a decent number of customers, the data size will be quite large. A transcript of a single 15-30 minute interview often exceeds the 5,000-word mark. To help deal with this, try reading this guide by Joanna Wiebe. It’s a great source to learn how to handle and make good use of the data you collect. In those situations, Q&A sites and niche forums are a great option to uncover psychographic data about your audience: meaning their values, thoughts, pain points, and mindset as a group. This psychographic data is crucial for creating high-converting content. Reddit is one such Q&A goldmine. With over 330 million monthly active users, you’ll likely be able to find at least some engagement from members of your target audience. If you’re new to Reddit, this guide will walk you through the basics. 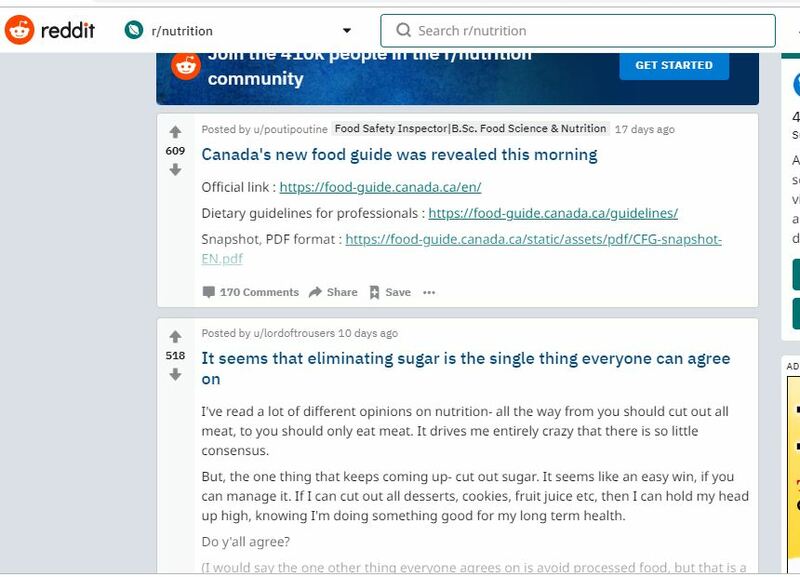 In short, you can discover subreddits by searching for your keywords. In our example below we’ve searched for the keyword “nutrition”. As you can see, there are a bunch of related subreddits that might be worth checking out. These subreddits are basically niche forums. 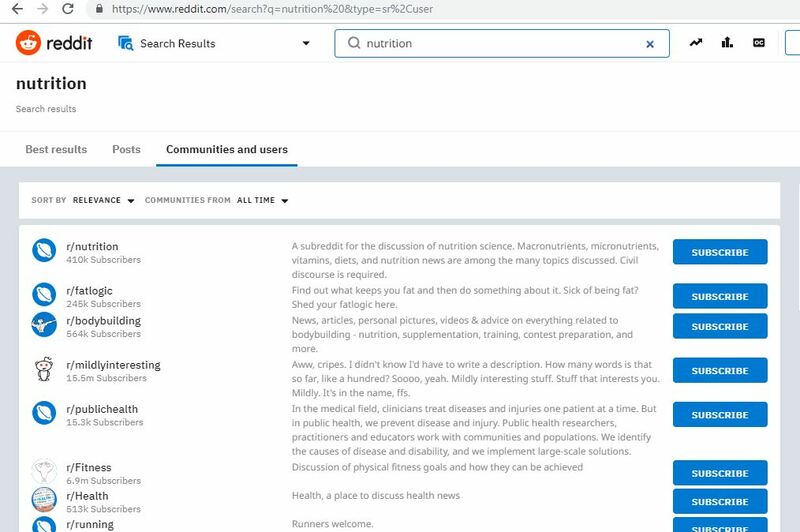 For instance, the r/nutrition subreddit is exclusively used for nutrition-related discussions. Click on those subreddits to see the kinds of discussions your audience participates in, what frustrates them most, and what kinds of content they read and share. Set the filter as “top” and set the time “all time”. This will show you the most popular discussion threads. You can also watch for discussions that show poor engagement (few votes/comments). This could indicate a topic that your audience doesn’t particularly care about. Quora is another Q&A platform with 500 million active users. We already have an in-depth guide on how to find and engage your audience on Quora. Forums are also great for eavesdropping on your audience. If your audience is on the internet, they are active in some forums, for sure. Your audience research will be incomplete without audience demographic data. Meaning their prefered social media channel, favorite media outlets, age, etc. info. Google Analytics is where you should get that data. Have a website with at least 10,000 monthly visitors? Then expect quite accurate insights from the Analytics dashboard. For the novice, Google Analytics can seem overwhelming. But for our purposes today, we’re only going to look at two key areas: “Audience” and “Acquisition”. 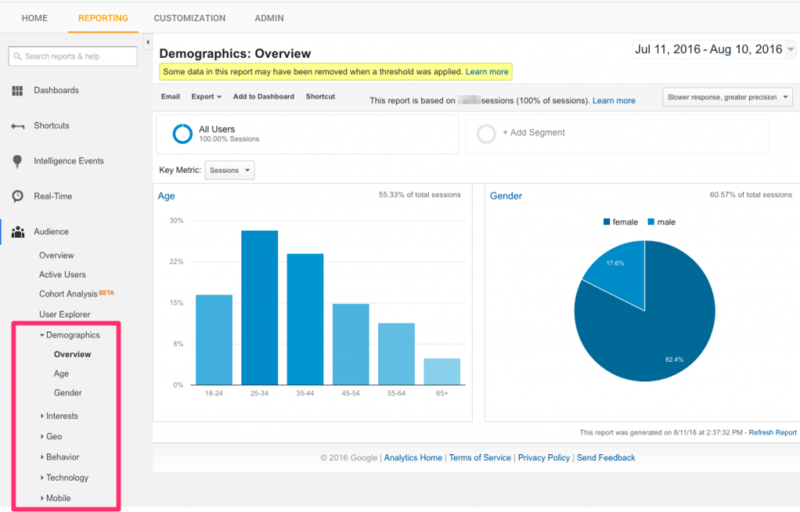 The “Audience” section is used to learn more about the demographic data of your site visitors. 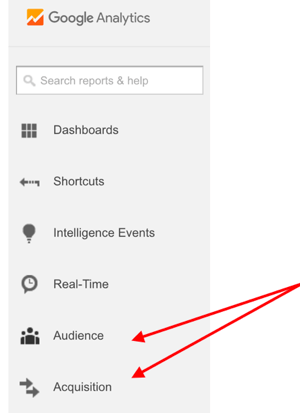 Check the “Demographics”, “Geo”, and “Mobile” sections under the “Audience” section for a better understanding. The “Acquisition” section, is where you’ll go to learn more about how your site visitors ended up on your website. Common traffic sources include direct, organic search, social media, referral, and paid. “All traffic” displays detailed data about different traffic sources and their contribution to total traffic. You can dive deeper by clicking on subsections like Social, Google Ads, and Campaign. The “Social” subsection gives a detailed report of the most effective social media platforms for your business. If any one or two social media platforms bring a major portion of social traffic, then those are your audience’s preferred platforms. Phew!! That’s a lot of data. How can you organize all those numbers, video transcripts, and data gathered without losing potentially valuable insights? 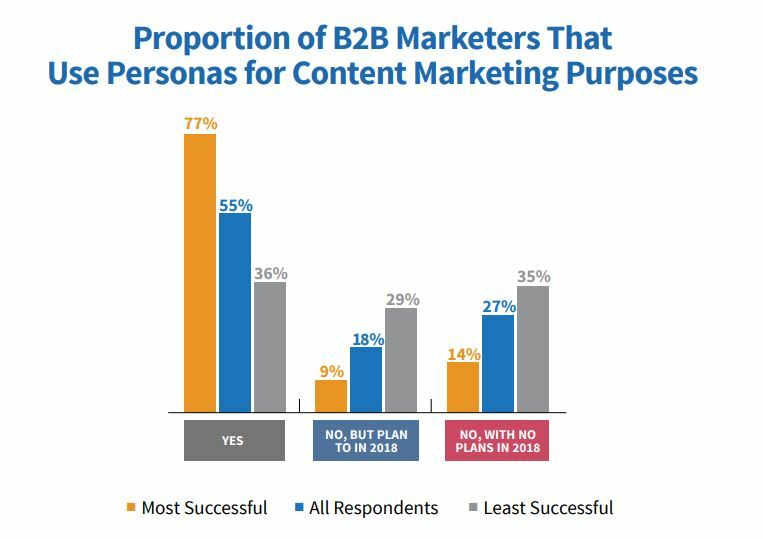 According to CMI research, 77% of successful B2B content marketers use personas as a part of their content strategy. So you probably should too! OK, so you’re sold on the idea. But what is a buyer persona and how should you go about creating them? Simply put, a buyer persona is a fictitious avatar that represents a segment of your target audience. This is a great starting point, but it could be much better. For instance, it doesn’t describe what frustrates Sally or what makes her pull out her wallet. Many marketers make the mistake of developing persona profiles with only demographic and psychographic data. They don’t include an in-depth analysis of the relationship between those data sets. A much better approach is focusing on your character’s job role and goals. Usually, very few jobs are one-dimensional. For instance, a “copywriter” doesn’t just write copy. He or she edits, researches content ideas, creates content strategies and even sometimes manages other junior writers. This principle generally holds true for people that work in all sorts of verticals and departments. The better you can understand the full extent of your target audience’s job role, the more effective your buyer personas will be! Marketers often describe the goals of their buyer personas strictly in terms of work responsibilities. But when you interview your clients and customers you will find many of them are motivated by personal goals, as well as professional ones. Take the previous example. Mr. Copywriter could be a perfectionist and willing to work overtime just to push otherwise good copy towards perfection. This is a useful bit of information, and can drastically change your “copywriter” buyer persona. 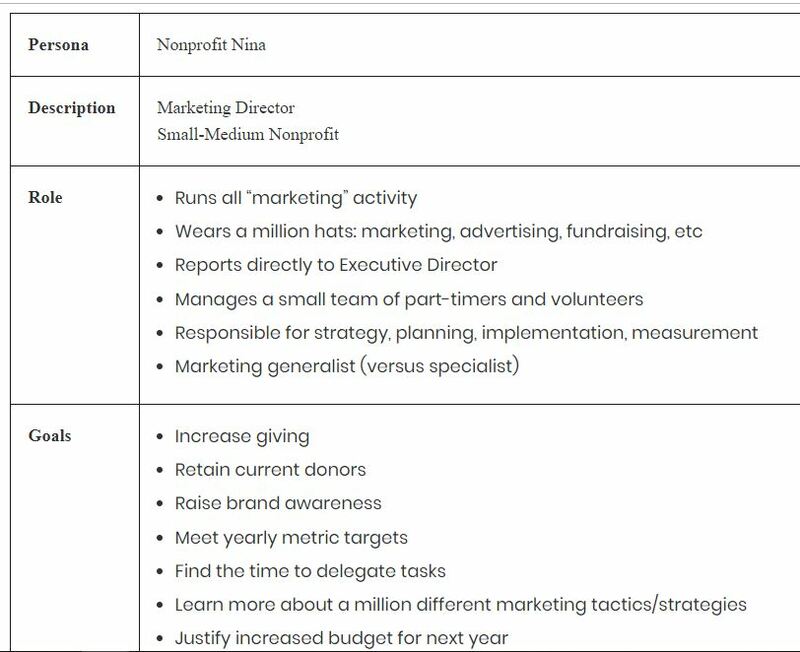 Here is an example of a buyer persona done right. See the difference? Feel free to use the above as a framework for your own buyer personas! Suppose you have done everything perfectly. You defined your audience, interviewed them, gathered data, and even created personas. Every box has been checked. Does that mean you have to take it as gospel? Hell no! No matter how close to perfection you got, your audience’s interests, inspiration, and pain points are subject to change. New technologies, the economy, politics… there are numerous factors out there influencing your audience 24/7. So you’re going to need to revisit this every once in a while. If you see any of these for an extended period of time, you might want to revisit your audience definition and targeting strategy. As you can see, getting to know your audience takes both a smart approach and some serious legwork. Investing time in defining and researching your target customers will help you create meaningful stories and content that your audience will love. And that means more fans, wider reach, and more leads!